He was known as the Roseland Killer. In the summer of 2000, Chicago’s south side was terrorized by a series of seven murders, all of women, most of whom were indigent. After striking, the killer would leave his victims’ bodies in abandoned buildings around town to be found later by law enforcement officials. Paul is painstakingly clear: In the face of grave human injustice, God will bring his divine justice. And his divine justice will be rendered through the fires of hell. So what are we to do? How are we to respond? Are we to, like one who has just had his life shattered by a criminal mastermind, anxiously anticipate our enemies’ interminable anguish in God’s pool of pyre? Are we to announce to our enemies, “I hope you burn in hell”? Hardly. For Paul continues, “With this in mind, we constantly pray for you, that our God may count you worthy of his calling” (verse 11). 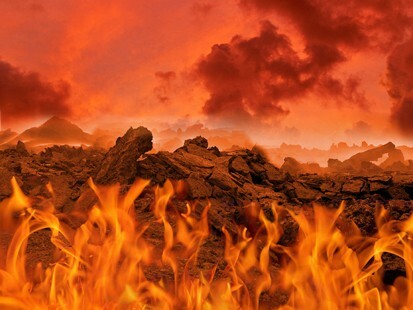 Paul does not want anyone, whether friend or enemy, to burn in hell. Instead, he prays earnestly that more and more people may be found worthy of their calling from God through Christ. Paul’s prayer is for salvation, not damnation. Hell is the place of God’s justice. But so is heaven. The difference is, heaven is God’s justice in light of Christ’s righteousness while hell is God’s justice in light of our own righteousness, or, more accurately, our own lack of righteousness. Which course of God’s justice would you care to receive? You will receive one or the other. I would challenge you to pray constantly, like Paul, for those not guarded by Christ’s righteousness unto salvation. Pray that they would receive God’s righteousness through Christ. For it is this righteousness that infinitely exceeds any justice wrought by hell. For it is this righteousness that can turn sinners into saints and despots into devouts. And that’s a kind of justice that we can all hope in. And so, “I hope you beam in heaven.” I really do. There’s nothing that a copy of an ancient Mayan calendar can’t help you with if you’re trying to figure out the exact date and nature of the end of the world. 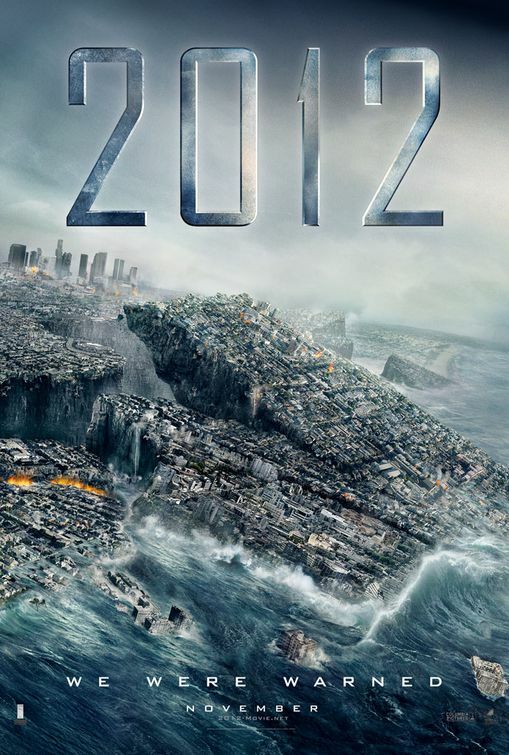 At least, that’s what the producers of the apocalyptic blockbuster 2012 want you to believe. Yes, the plot line is thin. Yes, the lines are cheesy. Yes, what is stretched into a three-hour taedium vitae could have been compacted into forty minutes. But on the upside, who doesn’t want to see Los Angeles fall into the ocean? Or Las Vegas sink into the earth? Who doesn’t want to watch every beloved national landmark get blown to smithereens? Besides, it’s not like everything gets destroyed. The G8 has an escape plan for a fortunate few: Arks have been hidden in the Himalayas, complete with animals, for the reseeding and replenishing of our fair planet. Although I, from the standpoint of sheer mathematical probability, would venture a guess that the world won’t end in 2012, I’m guessing that more than one moviegoer, while sitting through this unpropitious hodgepodge, wished that, at the very least, this movie would end. For, in the final analysis, it all seems to be just a little too much doom and too much gloom. Although disaster might light up the silver screen well, no one would want to live through such terrors in real life. For those who harbor horrendous notions concerning the world’s end, these verses from Paul have been regularly marshaled to teach the doctrine of a secret rapture. That is, before the world’s final demise, believers in Christ will be secretly “caught up” to God to dwell with him in safety while the rest of unbelieving humanity gets microwaved in a 2012-styled apocalypse. This, however, is far from what Paul actually teaches. To begin with, the rapture of Christians will be anything but secret. Verse 16 dispenses with any such notion when it speaks of “a loud command…and the trumpet call of God.” When believers are “raptured,” everyone will know it. Second, this so-called “rapture” will not happen before the end of time. Again, verse 16: “For the Lord himself will come down from heaven.” This rapture happens at Christ’s second coming and not before. Third, what Paul describes in these verses is not a rescue from a crumbling planet, but a joyful welcome of our coming King: “We who are still alive and are left will be caught up together…in the clouds to meet the Lord in the air.” The “rapture,” then, is not some divinely ordained escape hatch from this world, but a “meet and greet” of our Lord Jesus. Indeed, it was common in this day for people to leave their city and travel down the road to meet and greet a visiting dignitary to warmly usher him in to their town. Josephus records one such instance when the high priest of Israel, Jaddua, does just this for Alexander the Great: “And when Jaddua understood that Alexander was not far from the city, he went out in procession, with the priests and the multitude of the citizens” (Antiquities 11.329). Josephus goes on to recount that Alexander was so impressed by Jaddua’s welcome that he salutes the high priest. This is the picture which Paul paints of the coming of Christ. We, as Christ’s subjects, will go forth to meet him and welcome him to this earth, at which time he will judge the nations and usher in his new creation. What is the upshot of all this, then? Paul answers, “Encourage each other with these words” (verse 14). That is, rather than trembling at hoary visions of apocalyptic doom, we ought to be anxiously anticipating Christ’s final advent. The end of the world is meant to be encouraging, not scary. This is why the earliest Christians faithfully prayed, “Come, Lord Jesus” (Revelation 22:20)! The end of the world will not be riddled with complete carnage; rather, it will be marked by a King named Christ. What a marvelous day it will be. It was truly a mountaintop moment. I’ll never forget seeing her rush down Concordia’s breezeway in her pristine white dress, bursting through the back doors of the worship center, and coming toward me. The day I married Melody was a day I will always cherish. But, as seems to be the way of life, you must eventually leave the mountaintop moments of life and tread into the valley of reality. The valley of reality struck less than a week after our wedding. By then, the ceremony was ancient history, the reception was long passed, and we had returned from our brief honeymoon to our apartment, littered with wedding gifts – lots of wedding gifts. Mixers, crock pots, flatware, bed linens, personal effects, and hundreds of dollars of gift cards to Target. 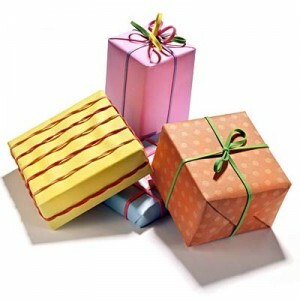 “Okay,” Melody announced, a towering stack of cards in her hand, “It’s time to put this stuff away, but as we do, we need to write a thank you card for each and every one of these gifts!” Each and every one of these gifts? But there were hundreds of them! Nevertheless, gift after gift, I wrote these thank you notes, even though my hand got cramped and my tongue got dry from licking all those envelopes. I must confess that that more notes I wrote, the briefer my expressions of gratitude became. I appreciated the gifts, but the overwhelming task of writing hundreds of cards led to the underwhelming nature of my notes of thankfulness. Did I hear that right? 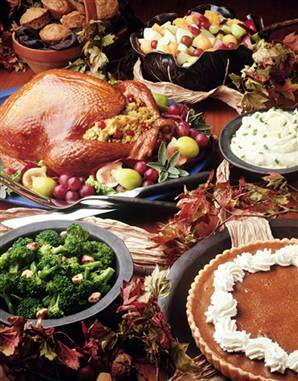 We ought to be thankful to God simply because a year has passed from one Thanksgiving to the next? Sure enough, Emerson’s first reason for thankfulness is the simple gift of time. Perhaps the simple gift of time was especially poignant to Emerson because his beloved wife Ellen lie sick in bed during this period with tuberculosis. She would die from the disease the following February. God’s gift of time with his wife, then, became suddenly precious to Emerson. The text on which Emerson based his sermon for that Thanksgiving Day was Psalm 107: “Give thanks to the LORD, for he is good; his love endures forever” (verse 1). The Psalmist, like Emerson, references time. Except the Psalmist does not call us to give thanks for twelve months; rather, the Psalmist calls us to give thanks for “forever.” For long after our lives have passed from this earth, we will have an eternity with a God who loves us. And that should be enough to move any heart to thankfulness. As we celebrate another Thanksgiving this day, do not let your expressions of gratitude wallow in mediocrity. Instead, make them hearty and overwhelming. For God’s gifts are hearty and overwhelming. And if you need something for which to be thankful, consider this: Twelve months have passed. Not only that: Eternity awaits. Give thanks to the LORD for this! When the day for her present finally arrives, we never make it past breakfast before Melody is asking for her gift. “I want to open my present now!” she’ll exclaim with an irresistible grin. I can’t help it. With a smile like hers, I melt and give her the gift. Besides, by this point, her suspense has been building for weeks. And now, Melody can stand it no longer. Her curiosity is intense. The time has come for her to open her present. And when she does, she is always delighted. “When we could stand it no longer,” Paul says in verse 1. Paul and his companions are too worried about the Thessalonians’ faith, being tested by persecution at this time, not to check up on them. And so they send Timothy to strengthen the Thessalonians in their faith and subsequently report back to Paul and his friends. Notice the shift in the pronoun. In verse 1, Paul says, “When we could stand it no longer.” But now in verse 5, the concern is especially personal: “When I could stand it no longer.” Paul’s concern for the Thessalonians and their faith in and faithfulness to Christ is intense. Blessedly, Paul receives a good report: “But Timothy has just now come to us from you and has brought good news about your faith and love” (verse 6). You can almost hear Paul breathe a sigh of relief in this verse. The Thessalonians’ faith is no longer a mystery to Paul. Their faith has been “unwrapped,” so to speak, by Timothy and has been shown to be beautiful and strong. And Paul is delighted. Do you have the same concern for others’ spiritual wellbeing as Paul? Does there ever come a time when “you can stand it no longer” and so you pick up the phone just to check on someone, or drop someone a note just to let them know that you’re praying for them, or plan a lunch with someone just to reflect with them on their walk with Christ? Like Paul, I hope you have moments where someone else’s wellbeing keeps you so in suspense that “you can stand it no longer.” For this is a suspense fueled by love. In fact, why don’t you contact that person today? After all, you may just be the person that God uses to strengthen someone’s faith, grow someone’s heart, or pilot someone through a time of trouble. And who wouldn’t want to be used by God for a purpose transcendent as that? One person’s trash may be another person’s treasure. Then again, one person’s trash may simply be trash. The other morning, I heard a news report on WOAI chronicling those who suffer with compulsive hoarding disorder. People with this disorder will regularly hoard things of limited to no value – things such as empty milk cartons and tin cans and old newspapers – because of deep, and usually complex, psychological disturbances. 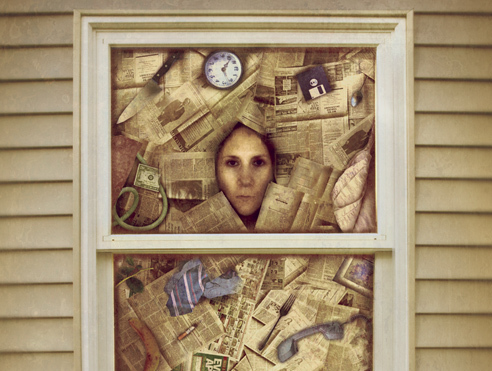 The report went on to explain that even after a person’s house is cleared and cleaned by a professional housekeeping service, things will immediately begin to pile up again because the psychological addiction to hoarding cannot be addressed by simple aesthetic changes in a person’s living environment. There is group of Jews, it seems, which is stridently bent on preventing the gospel’s spread and will even resort to persecuting the church to thwart its march forward. Paul says that such persecutors “fill up the measure of their sins.” That is, they pile sin upon sin until God’s patience is exhausted and his wrath is revealed. But at the same time that these recalcitrant unbelievers are filling up the measure of their sins, those who suffer under them are doing some filling of their own. As Paul writes elsewhere in Colossians 1:24: “Now I rejoice in what was suffered for you, and I fill up in my flesh what is still lacking in regard to Christ’s afflictions, for the sake of his body, which is the church.” Paul is not here teaching that Christ’s suffering on the cross is somehow incomplete or inadequate for salvation. Rather, he is saying that we, as those who follow Christ, get to share in Christ’s sufferings. And the promise is that the same persecutions which fill up the sins of the persecutors also serve also to fill us in Christ the persecuted. In other words, persecution, depending on whether you are unjustly leveling it against another or unjustly receiving it from another, can serve either to fill you up in sin or fill you up in Christ. One person’s trash of sin may be another person’s treasure in Christ. In the world’s eyes, persecution seems to have limited to no value. But not in God’s eyes. As the Psalmist says, “Precious in the sight of the LORD is the death of his saints” (Psalm 116:15). Every affliction that a Christian endures, every unjust accusation under which he stands up, even a death that he dies for the sake of God’s name is precious in God’s sight. The trash of worldly persecution is reformed and remade into treasure by Christ. So if you are suffering today, take heart! For the trash of this world’s suffering can be a treasure in God’s sight. Ask God what he is seeking to teach you through such hardship and rejoice that you are counted worthy to receive God’s treasure – even when his treasure is suffering. 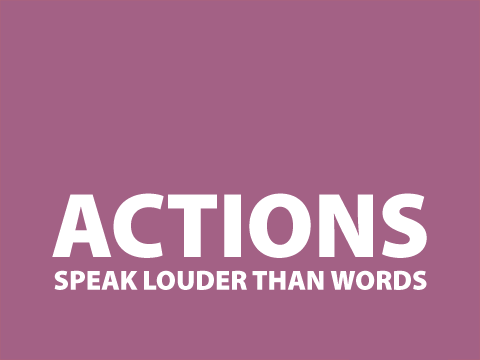 I’m sure you’ve heard the old saying, “Actions speak louder than words.” This proverb was first penned by Gershom Buckley, a minister at a congregation in Wethersfield, Connecticut. In his pamphlet “Will and Doom,” Buckley wrote, “Actions are more significant than words.” Since then, this phrase, slightly modified, has become axiomatic, used to express the primacy of acting over speaking. But Paul’s commendation of the Thessalonians is not a matter of their actions only. For Paul continues in verse 6: “And you became imitators of us and of the Lord, for you received the word in much affliction, with the joy of the Holy Spirit.” The Thessalonians imitated Paul not just in his actions, but by receiving the Word. That is, they did not imitate Paul through pious works, charitable acts, or spiritual feats, though all of those things are certainly vital to and a noble part of the Christian life. When it came to the Thessalonians’ imitation of Paul, however, and finally of Christ, it was to be found in their simple, faith-filled reception of the Word of God. As we are reminded by Paul’s words to the Thessalonians, any and every action of a Christian is to be rooted in the Word of God. This is why the Lutheran confessors upheld the primacy of God’s Word to guide all Christian action: “In order that people do not resolve to perform service to God on the basis of their own pious imagination in an arbitrary way of their own choosing, it is necessary for the law of God constantly to light their way” (FC Ep VI:4). The Lutheran confessors maintained that without the Word of God guiding his way, a Christian would have no idea what good works to do or what charitable acts to perform. Indeed, without the Word of God guiding his way, a Christian would simply have to “make up,” as it were, what constitutes a good work. That is why Martin Luther wrote that the Ten Commandments, as contained in God’s Word, “are to be exalted and extolled above all orders, commands, and works that are taught and practiced apart from them” (LC I:333). God’s Word and commandments are to undergird every work that a Christian does. “Actions are more significant than words.” Perhaps Gershom Buckley was wrong, or at least incomplete. Not because actions are insignificant, but because if it wasn’t for words – or, more specifically, the Word – there would be no actions for a Christian to perform. So today, I would simply offer you this little exercise: Read then Ten Commandments in Exodus 20:1-17. Ponder each commandment and ask yourself three questions. First, ask, “Like the Thessalonians, do I receive these words from God with the joy of the Holy Spirit, or do I reject them in stubborn disbelief?” Second, ask yourself, “How have I broken these words by my sinfulness and do I trust in the sure and certain word of God’s forgiveness in Christ?” For this word of grace is God’s most beautiful word. Finally, after basking in God’s forgiveness, ask, “How can I better imitate in my actions the word that I have received in faith?” Remember, without God’s Word, there would be no actions for you to perform. So praise God for his Word today. For long after our actions fade and falter, God’s Word remains. Last weekend, my wife Melody ran in the Rock ‘n Roll Marathon. She ran the half-marathon. It was 13 miles of pounding the pavement. Actually, as she has reminded me several times, it was 13.1 miles of pounding the pavement. Considering that the longest race I have ever run is a 5k, I am unspeakably proud of her. And she, rightfully so, is proud of herself. For she had to train for months in preparation for this race. My wife has run many a 5k and has even participated in a triathlon. But, from an athletic standpoint at least, this race was her crowing achievement. Many people have accomplishments in their lives which they would consider “crowning achievements.” Sometimes these crowning achievements are academic in nature, such as the garnering of a degree. Other times they are personal in nature – a marriage or the birth of a child. Whatever particular form these crowing achievements may take, they all share a common denominator: They are all things of which we are proud. In our reading for today from Philippians 4, Paul proudly speaks of a crowning achievement: “Therefore, my brothers, you whom I love and long for, my joy and crown, that is how you should stand firm in the Lord, dear friends” (verse 1)! Paul speaks of a crown which he proudly wears. But this crown is not a list of his finest accomplishments; rather, it is a group of redeemed people. Paul’s crown is his brothers and sisters in Christ – those whom he loves, longs for, and prays that they would stand firm in their faith. Paul’s crown is full of people! As impressive as all these accomplishments might be, Paul does not place a single one of them in his crown. For Paul’s concern is not for his own stature, status, or stateliness. No, Paul’s concern is that more and more people trust in the gospel of Jesus Christ. People redeemed by the gospel, not his own accomplishments, incrust Paul’s crown. This is why Paul concludes his letter to the Philippians with these tender words: “Greet all the saints in Christ Jesus. The brothers who are with me send greetings. All the saints send you greetings, especially those who belong to Caesar’s household” (verses 21-22). More than likely, Paul wrote Philippians while in Rome, under arrest and waiting to be tried before the Caesar of the time, who happened to be Nero. Thus, in his closing greetings, Paul mentions “those who belong to Caesar’s household” as saints who send greetings to the saints in Philippi. Apparently, while under arrest, Paul had shared the gospel with Caesar’s guards and attendants, and some of them had believed. And more people were added to Paul’s crown. In a world which so often hails those who have great accomplishments to their names, our goal should be to see more and more people bend their knees to the name of Jesus Christ. This goal may not win the accolades of the world, but it will bring a smile to our Heavenly Father’s face. For the crowns of achievements for which men so earnestly strive will one day all be lost. The crowns of people, redeemed by God, however, will last into eternity. So put people in your crown.